Mobile App For Free Delivery And Online Payments By Credit Card. 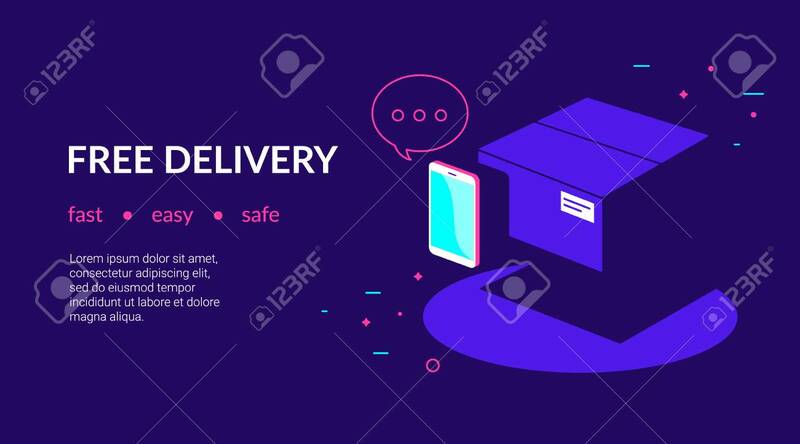 Flat Vector Neon Website Template And Landing Page Design Of Smartphone App Near Delivered Cardboard Box And Contour Speech Bubble Lizenzfrei Nutzbare Vektorgrafiken, Clip Arts, Illustrationen. Image 111012217.